Using clips from the movie to highlight the story's themes, this group study will help people better see the needs around them, and begin to live a life of unprecedented generosity. In Eva Marie Everson's novel based on the Unconditional screenplay, we meet Samantha Crawford— an acclaimed storybook artist who seemingly had it all until losing the love she cherished most. Now fighting despair, she is obsessed with tracking down the murderer of her husband. 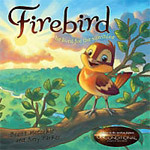 With no leads and no hope, Sam prepares to take her life until providence intervenes and she is reunited with her childhood friend, Joe Bradford. 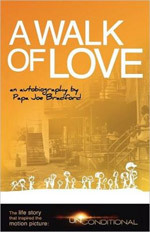 Papa Joe Bradford, the inspiration behind the movie Unconditional, tells his life story in his new autobiography, A Walk of Love. Joe, the founder of Elijah's Hope Ministry in Nashville, is an amazing inspiration whose story shows how even through life's most shattering circumstances, you can overcome through Christ, and allow Him to use your story of transformation to spread His love to others. 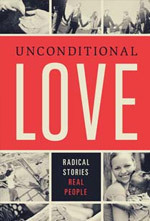 Inspired by UNCONDITIONAL and the real Papa Joe Bradford's ministry to children in under-resourced communities, Unconditional Love celebrates ordinary people doing extraordinary things to be the hands and feet of Jesus. In addition to Papa Joe's Elijah's Heart ministry, we meet teenagers helping meet the needs of other young people, an octogenarian running a ministry that feeds thousands of homeless people, the band Jars of Clay that puts the focus on the needs for clean water in Africa, and many others. Recording star Brian Courtney Wilson wrote and recorded (with Veronica Petrucci) the song "Hope" for Unconditional. 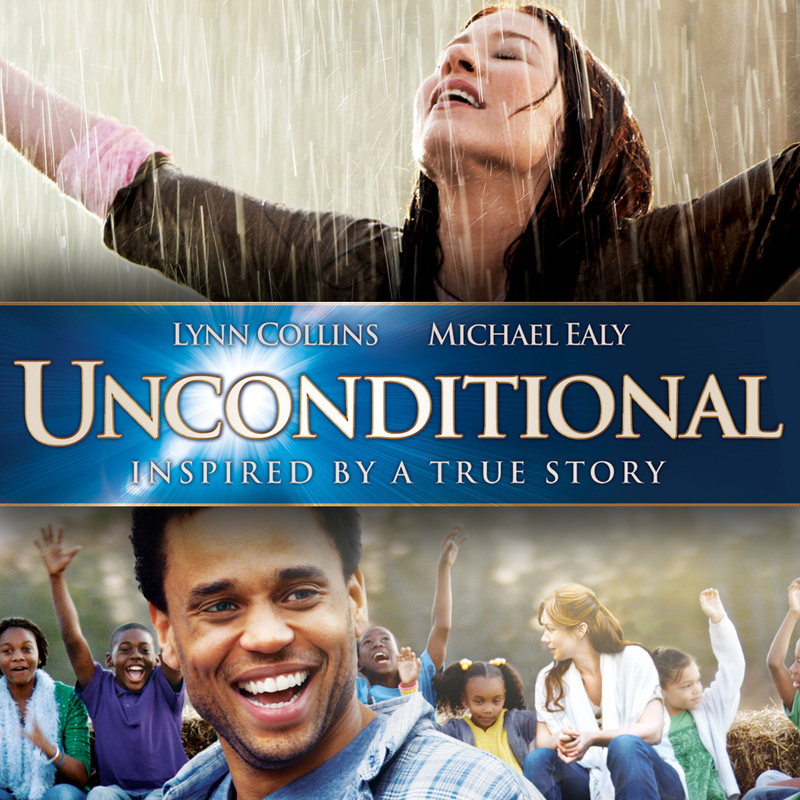 Download this inspirational single from the movie today! Enjoy this entertaining, engaging film with friends and follow up with a discussion about the movies themes and how they tie into everyday life. Finding Hope: Joe hits rock bottom when he's placed in solitary confinement in prison. Where did he find his hope and new direction? Where do you turn for hope? Overcoming Despair: Sam is in so much pain when we meet her, she's ready to end it all. What helped turn things around for her? What's the lowest you've ever been? Where did you turn for help? Faith in Action: Despite less-than-ideal circumstances, Joe focused on the positives of his life—serving and impacting the kids in his neighborhood. What are you doing to put your faith into action? Importance of Friends: When they were youngsters, Sam reached out to Joe. As adults, Joe returned the favor to Sam. Do you have a friend you know will always be there for you? Why is that important? Using Your Talents: We see Sam connecting with Keisha using their shared passion of art. What gifts or talents do you use to help others? 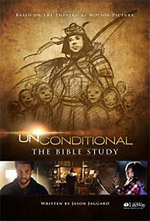 Download these banners and post them on your website or blog to help promote UNCONDITIONAL.